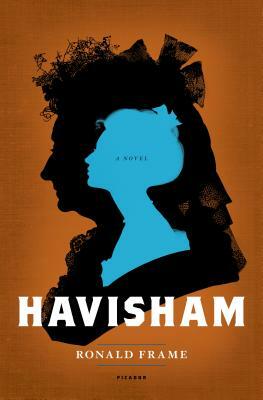 "HAVISHAM" IS THE ASTONISHING PRELUDE TO CHARLES DICKENS'S "GREAT EXPECTATIONS." Before she became the immortal and haunting Miss Havisham of "Great Expectations," she was Catherine, a young woman with all of her dreams ahead of her. Spry, imperious, she is the daughter of a wealthy brewer. But she is never far from the smell of hops and the arresting letters on the brewhouse wall HAVISHAM a reminder of all she owes to the family name and the family business. Sent by her father to stay with the Chadwycks, Catherine discovers elegant pastimes to remove the taint of her family's new money. But for all her growing sophistication, Catherine is anything but worldly, and when a charismatic stranger pays her attention, everything her heart, her future, the very Havisham name is vulnerable. In "Havisham," Ronald Frame unfurls the psychological trauma that made young Catherine into Miss Havisham and cursed her to a life alone, roaming the halls of the mansion in the tatters of the dress she wore for the wedding she was never to have. A "Kirkus Reviews "Best Fiction Book of 2013. “An elegant revisiting of one of our most revered, and most enigmatic ghosts. Perhaps we all have a streak of Havisham in us—with our great expectations and our dreams of the past.”—Carole DeSanti, author of The Unruly Passions of Eugenie R.